I’ve been plowing through my to do list, including selling off a bunch of stuff to clear out the garage. 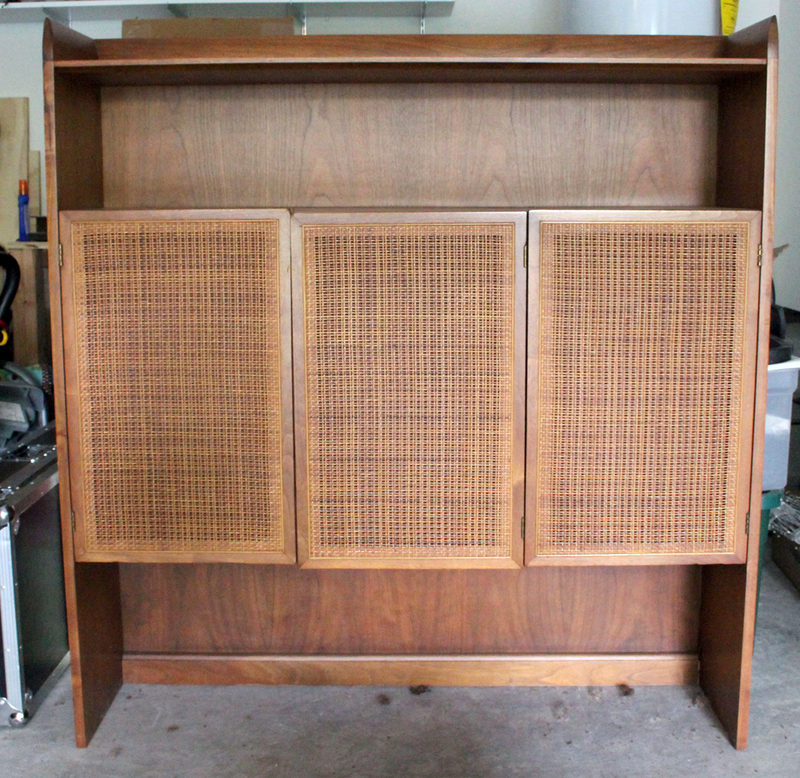 We have this one big item left that needs a new home. Any local readers interested? 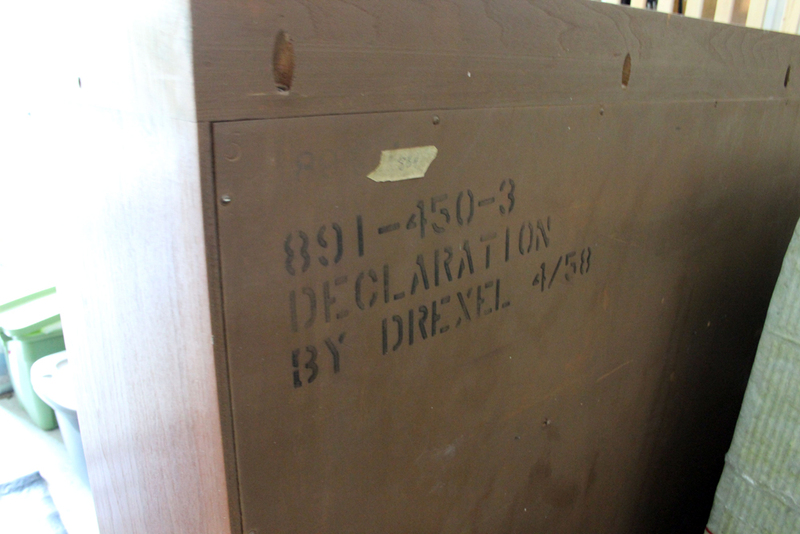 It’s the top half of a china cabinet hutch, part of the Declaration series by Drexel. It’s big and heavy. We haven’t done anything to clean it up or refinish it. I have it marked down to $20 on craigslist and I still can’t get anyone to buy it. Dimensions: 52″ wide, 55″ tall, 13″ deep. 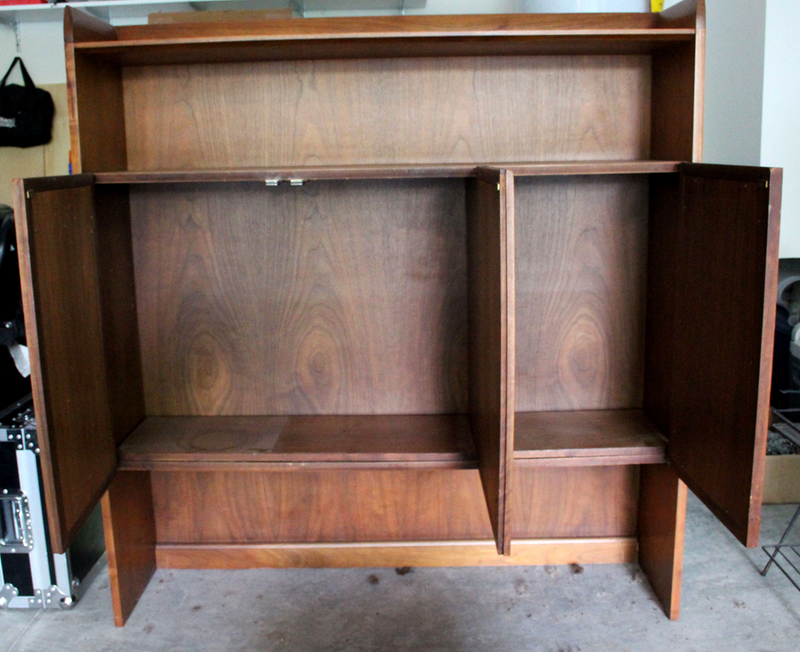 It comes with shelves.